Notes: Vol 5, No 3. 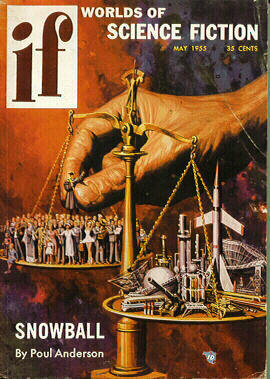 Cover art titled "Technocracy Versus the Humanities." Fep art is a monochrome preview of the June 1955 Cover.